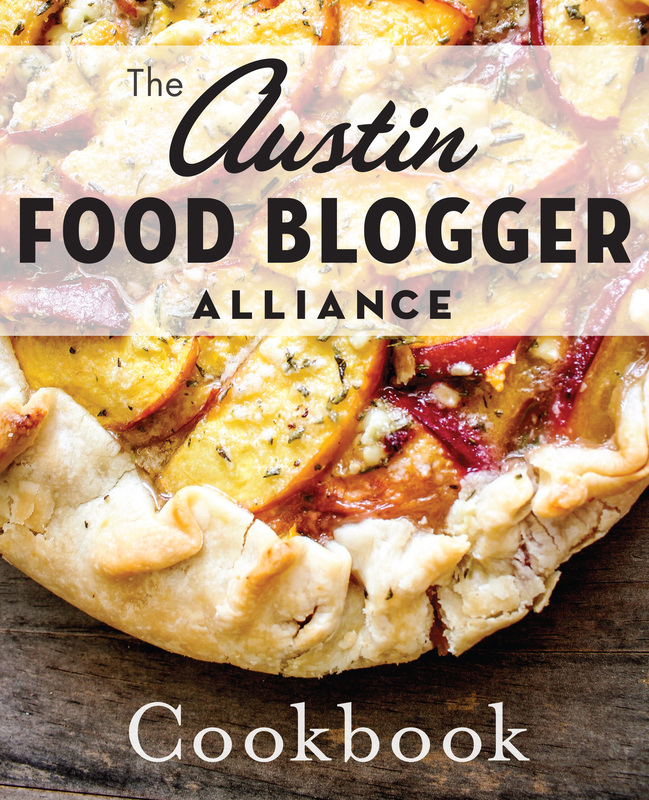 This post is a hard one to write because I respect and adore both Pat Sharpe, the longtime food editor at Texas Monthly with whom I interned before I started at the Statesman, and the Dixie Chicks, the band featured on the magazine’s latest cover. But maybe it’s because of those feelings that my stomach sunk when I saw the April cover this morning at the grocery store. The headline — “Who killed the Dixie Chicks?” — is problematic enough, but the subhead “And did they really have to die?” solidifies that the whole shooting/killed/death approach to selling John Spong’s story about why the band dissolved was a seriously bad choice. Remember, if you will, that these women faced countless death threats after lead singer Natalie Maines expressed her disgust with President Bush in 2003, just after the Iraq War started. Just this week, we marked the 10th anniversary of the start of that war, and it’s fair to say that people on both sides of the political spectrum feel differently about that war than they did when it was underway. To see just how extreme the backlash was to Maines’ comments, check out the 2006 documentary “Shut Up And Sing,” in which Maines and bandmates Martie Maguire and Emily Robison talk about what it was like — for both them individually and their families, who were also involved — to be physically threatened with death. 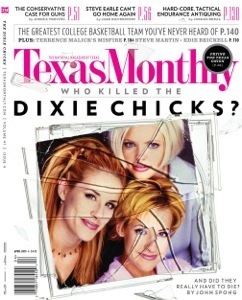 And now, 10 years later, as American culture continues to tolerate, forgive and even celebrate domestic and gun violence, particularly against women — and as all three members of the band are alive and, presumably, happy and well with their post-Dixie Chicks lives and careers — we have the state’s most respected magazine pondering what “killed” the Dixie Chicks and “why they had to die”? Seriously?No one in that office full of some of the smartest writers, editors and designers around thought that was a poor choice of words? I could forgive the cheesy (and lazy) florescent pink cover from last summer selling their (very relevant and important) story about reproductive rights in Texas, but this is just too much. And for the record, the Dixie Chicks have four shows scheduled this summer. My hope that they’ll put out another album together lives on. You are overstating the threats against them. And any entertainer gets “threats” all the time or political commentator. Nobody mentions what Rogere Ailes or Sean Hannity endure. Natalie acted like some of the callers who said, they should strap her on a bomb and drop it on Iraq were legitimate threats. They weren’t. Also, it’s rarely pointed out how the Dixie Chicks lied about what happened in London. Why were they allowed to lie and bring the “troops into it” to try and get out of Natalie’s mistake? They lied after the incident and claimed but Emily said, “we support the troops” right after Natalie said that. That’s a flat out fabrication. That didn’t happen at the show. If it had, they would have released that video immediately when the incident blew up. All those cameras recording that night and yet NOTHING. Them lying about that was far worse than Natalie pandering to a bunch of foreigners. Also, with Syria using chemical weapons perhaps (and they most likely got them from Saddam as he sent them over there during the run up to the war), this recent incident just proves how wrong Natalie and the Dixie Chicks were on that. Also, the Dixie Chicks lied and said they would do free shows for the troops in the states. The troops are still waiting. At least Charlie Robison went overseas and entertained the troops!!! I take issue with a few of your statements. First, I don’t think anyone celebrates death and violance against anyone in this country. On the contrary women like me, who know how to use a gun, would prefer to be the one pulling the trigger on an intruder than the other way around. That aside, you state that the slug “Who Killed the Dixie Chicks?” is an over exaggeration. Not so. The Dixie Chicks, while a fantastic and talented band, did die. They broke up and never recorded together after their subsequent recordings failed to sell at the box office. Don’t get me wrong, I’m broken hearted at the treatment they received and don’t think for a second it was warranted. As a conservative, I feel it’s everyone’s right to voice their disagreements. That’s what America is all about. So, did Maines deserve the backlash? No. It was an overreaction by a country that was still smarting from a very personal attack on our country. They couldn’t see straight and The Dixie Chicks were the easiest target at which to throw their frustration. I think perhaps you may be overreacting as well about the phrasing on the cover. Of course, that’s MY opinion, and I’m happy that we live in a place were it’s supposed to be okay to state it … that is, unless you’re Natalie Maines. I was doing a walk through in Brazos Hall before our Jellifi Launch Party in January and the Dixie Chicks were filming a music video in there. Safe to say they probably aren’t going anywhere soon. I have to say that I do NOT agree with the distasteful cover and verbiage. What were they thinking? Publicity stunt? With everything happening in our country and around the world right now, this cover is just unnecessary. What were they thinking?? I am appalled at the photo cover and verbiage! So not fair after all they’ve been through. I hope they make a comeback. My problem with Maines was she said it overseas. This is a freedom issue. She was free to say it, people were free not to support what she said. Literal and figurative interpretation of this headline is agonizing to look at… the article itself went into the threats the ladies were receiving. I do not think it was being made light of in connection war/gun violence and stating such leads to me to feel more concerned with how adults handle information given to them. A concern that is actually the center of the piece….why are Americans so damn easily offended by their interpretation of things. And asking WHY with his tagline”and did they have to die” points to how grossly unnecessary the behaviors from such interpretations can be. Addie Broyles statements are as absurd at those of Texas Monthly. A wise entertainer knows to keep his mouth shut on political matters. Those that don’t suffer the consequences. Frankly, the Dixie Chicks did it to themselves. And what a shame, they were one of the best female acts ever.